Even the best of illusions can backfire. The song “Analyse” from Thom Yorke’s solo debut The Eraser (2006) played during the credits of The Prestige, Christopher Nolan’s underrated film featuring two rival 19th century magicians who go to tragic lengths to craft the world’s greatest illusion. The competitors [spoiler alert!] suffer humiliation, the death of their wives, self-mutilation, and even a bizarre sort of suicide to finally pull off the trick. Amok, a pseudo-sequel to The Eraser, doesn’t meet such a grisly end, but it too pays a hefty price for its cleverness. Yorke and his side-project band Atoms for Peace, who were so adept at turning The Eraser’s digital constructs into punchy live concert pieces, are now required to perform the opposite task — recreate their best live performances as 1’s and 0’s in the studio. They do the job so well that it’s hard to tell if anyone besides Yorke and his laptop were ever involved. Some of Amok’s high expectations surely stem from Atoms For Peace’s all star credentials — other members include Red Hot Chili Pepper’s bassist Flea, Nigel Godrich (Radiohead producer), Joey Waronker (drummer for Beck and R.E.M. ), and percussionist Mauro Refosco (drummer for David Byrne). While Yorke’s friends are ace musicians in their own right, their union is neither the Next Big Thing nor the typical supergroup disaster of colliding egos and stylistic mishmosh (see Audioslave or Zwan). Amok actually stands as a low-key, fairly cohesive artistic statement…almost like a Thom Yorke solo record, in fact. Yorke’s mates seem content with deferring to him, and as a result, the album takes on it’s creator’s persona — Amok is cerebral, tense, and gloom-ridden. Yorke’s distrust of technology is legendary — his songs with Radiohead betray fears of flying and driving (“Airbag”), of war and encroaching climate change (“Idioteque”) and of being “brought.. to (your) knees” by the 21st century (“Bodysnatchers”). So it’s unnerving that every song on Amok is built from the same twin electronic pillars — layers of percussion (veering between skittering, jittery, and dizzyingly complex), and synthesizers (urgent, twitchy, and subversive) all stitched together by the warm thread of Yorke’s human vocals. Opener “Before Your Very Eyes…” adds a jumpy guitar figure over its tiny, intricate drum loop; it feels a bit like Radiohead hyped up on math rock. There’s loads of interesting digital sounds here manipulated to sound real — the pattering faucet drips on “Ingenue” and the buzzing swarm of digital wasps at the end of “Reverse Running.” Waronker and Refosco perform an astonishingly good imitation of syncopated drum machines, softened by the occasional triangle or hi-hat. Flea delivers limber, organic bass lines that bring an adrenaline rush to tracks like “Dropped” and “Stuck Together Pieces,” largely because they act as a welcome human counterpoint to the mechanized proceedings. It’s similar to the way Colin Greenwood’s agile fretwork animated run-of-the-mill Radiohead compositions like “15 Step” or “Morning Mr. Magpie” into living, breathing melodic animals. After a few listens though, Amok begins to sound detailed in the way digital images look pixelated when you zoom in. That is to say, there’s plenty of sonic intricacies here but not a lot of subtle texture and feel. Atoms For Peace’s electronic songs aren’t as melodically nuanced as those from Yorke’s idols Four Tet and Burial or as jaw-droppingly eclectic as electro-jazz experiments from tour partner Flying Lotus. There are too few changes in timbre — not surprising since most of this is driven by sequencers — but variation is lacking in other crucial areas, like attention-grabbing hooks or tempo changes. The one obvious exception is Amok‘s title track which creates a beautiful sense of space, layering Yorke’s multi-tracked moans, ominous piano fills, and a dexterous bass line over click n’ whir beats. When a pins-and-needles synthesizer riff makes its appearance at the track’s end, it’s a huge reward, a crescendo that feels like something the whole album’s been shooting for and is finally reaching. 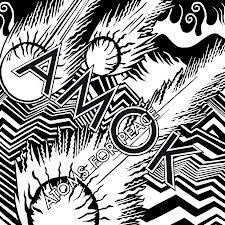 “Amok” is a track I wished Yorke and his band mates would have extended for twice its length and a captivating reminder of what Atoms For Peace are capable of. 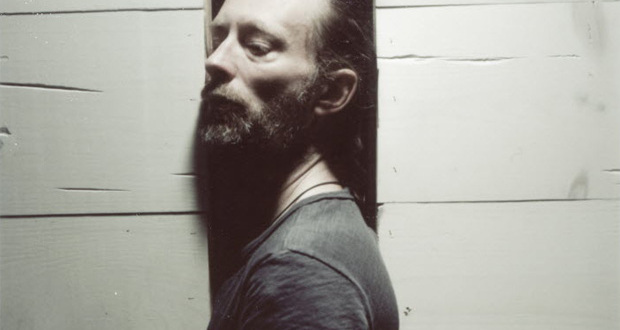 On Amok, Yorke continues to explore the degree to which his music’s beating heart can be deconstructed and rebuilt using new, synthetic materials. Since Kid A, his work has largely been a process of subtraction — the removal and replacement of Radiohead’s more humanistic elements one by one to see what musical DNA strand remains. It’s a courageous endeavor. And a curious one, considering he’d seemingly found the perfect chromosome long ago with a song like “Idioteque”. As loathe as I am to question what direction a talented, vital artist like Yorke is headed in, I can’t help but wish his creative pendulum hadn’t swung so far into his MacBook’s hard drive. He continues to surround himself with technology and digital devices (we all do), but he’s most compelling when he brings to bear his most innate characteristic — his humanness. What’s called for here (besides better songs) is a stronger pulse of organic life — a flourish of arpeggiated guitar, some gloriously imperfect percussion, a steady analog sine wave amidst the staircase signals. 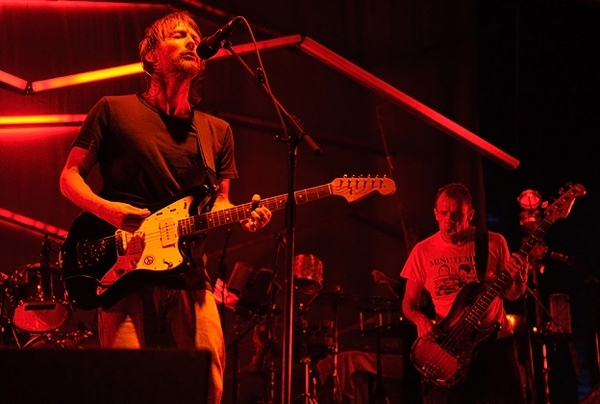 This happened once before with that other Yorke band — The King of Limbs initially received lukewarm reviews for sounding “bloodless” and “unreal,” so Radiohead wisely recorded and filmed a live performance of the same tracks as part of the BBC’s magnificent From the Basement series. It revealed new pleasures and facets to the songs by unsubtly reminding us that real musicians, not just sequencers and drum machines, were making all that noise. I suspect that Amok would benefit from similar tinkering. Then again, it probably sounds exactly the way Yorke intended it to, the way he often feels — like a man trapped among the machines. This entry was posted on February 27, 2013 by Jeff Goodwin in Atoms For Peace, Reviews and tagged 15 Step, Airbag, Amok, Analyse, Atoms For Peace, Before Your Very Eyes, Bodysnatchers, burial, Dropped, Flea, Flying Lotus, four tet, From the Basement, Idioteque, Ingenue, Joey Waronker, Mauro Refosco, Morning Mr. Magpie, Nigel Gorich, Stuck Together Pieces, The Eraser, The King of Limbs, thom yorke.